Urinary bladder cancer (UBC) is a common disease worldwide. At any point in time 2.7 million people have a history of UBC. The incidence of UBC varies over the world with highest rates in developed communities. But the burden of UBC will increase in less developed areas of the world. These changes can be attributed to global changes in exposure to risk factors for UBC and growth and aging of the world population. More than 12 million new cases of cancer occur annually worldwide. Of those 5.4 million occur in developed countries and 6.7 million in developing countries [1, 2]. Cancer occurrence in developing countries is predominated by tumor types that are related to viral and bacterial infections such as stomach, liver and cervical cancer. This may change in the next decades, however, because economical development goes along with a rising smoking prevalence and, consequently, with increasing trends of smoking-related cancers such as urinary bladder cancer (UBC). In this short overview, we will describe the global occurrence, mortality and prevalence of UBC. In addition, we reflect on the growth and aging of the world population and its impact on the future bladder cancer burden. Urinary bladder cancer ranks ninth in worldwide cancer incidence. It is the seventh most common malignancy in men and seventeenth in women. Approximately 356,000 new bladder cancer cases (274,000 males and 83,000 females) occurred worldwide in 2002 [2, 3]. The worldwide age standardized incidence rate (ASR) is 10.1 per 100,000 for males and 2.5 per 100,000 for females. The incidence varies significantly between geographical regions or countries (Fig. 1), with highest rates (ASR♂ = 19.5 and ASR♀ = 4.2) as well as absolute numbers (n = 225,242) observed in developed areas. Lower rates (ASR♂ = 5.3 and ASR♀ = 1.6) and absolute numbers (n = 130,971) are seen in less developed regions like Asia and almost all of Africa . Part of this variability is artificial, however, and can be explained by differences in the definition and registration of UBC. Some cancer registries include non-invasive (pTis, pTa and PUNLMP) UBC in the incidence figures while others only report invasive (≥pT1) cancers . Also, differences exist in the registration of metachronous tumors in the bladder, especially in cases of muscle-invasive tumors following non-invasive UBC. Besides this artificial variability, worldwide differences in exposure to risk factors are largely responsible for the observed variability in occurrence. In Western countries, cigarette smoking, accounting for 50% of UBC in males and 35% in females , and occupational carcinogens are the most important risk factors for urothelial carcinoma (UC), which represents the majority of UBC in developed countries. Chronic urinary infection caused by Schistosoma haematobium (also known as schistosomiasis or bilharzia) is associated with the development of squamous cell carcinoma (SCC). In regions where this infection is endemic, like Egypt, SCC was for years the dominant histopathological type of UBC . Because of the endemic infection, Egypt has the highest incidence of UBC in the world: the incidence of 37.1 per 100,000 males is almost two times higher than in Western communities . In both the USA and Western Europe, the lifetime probability for white males to develop UBC (pTa included) is more than 4% or 1 in 25. In white females, this lifetime risk is about 1.2% or 1 in 80 [7, 8]. Figure 2 shows the risk of developing UBC until a specific age for newborn males and females in the USA. Males have a risk of 0.45 and 2.81% to develop UBC before the age of 60 and 80 years, respectively. For females these risks are 0.14 and 0.82%, respectively. In Figure 3 the risk of developing UBC within 10 years from a certain age is presented. It can be seen that both sexes have the highest risk to develop UBC within 10 years at the age of 75. For males this risk is 2.32% and for females 0.560% . In many developing countries, life expectancy is much lower than this ‘high-occurrence age’, which is one of the reasons why overall UBC incidence (not age-specific incidence) is lower in these countries. Worldwide approximately 145,000 patients die from UBC annually . The global mortality rate among males is 4 per 100,000 versus 1.1 per 100,000 among females. The variability in UBC mortality around the world is not as large as that in UBC incidence (Fig. 4). The ASR (per 100,000) only varies between 5.6 in developed countries and 3.1 in developing countries for males. For females the ASR varies between 1.4 in developed countries and 0.9 in less developed areas. The smaller variability has to do with the fact that there are less definition and registration differences between countries with respect to ≥pT2 tumors which are responsible for most of the UBC mortality. The prevalence of UBC, or any other tumor, is difficult to assess. The number of patients alive with bladder cancer at a specific point in time is a function of incidence and ‘duration of the disease’: prevalence = incidence × duration. Duration is, of course, related to survival but it is also related to the question of how long a patient with a history of UBC is considered to be a bladder cancer patient. For that reason, the so-called ‘partial prevalence’ refers to the number of patients still alive within a defined period following diagnosis (usually 5 or 10 years). The overall global 5-year prevalence is estimated at 1,110,265 (860,299 males and 249,966 females) . There are no good estimates of the number of UBC patients still alive at any point in time irrespective of the duration of time since their diagnosis. We may, however, obtain a crude estimate by extrapolating the USA figures. In the USA, each year approximately 69,000 patients are diagnosed and it is calculated that approximately 521,000 Americans are alive with bladder cancer . According to the function mentioned above, the ‘duration’ of the disease is therefore 7.5 years. With 357,000 new cases worldwide each year, and ignoring global survival differences, the prevalence can be estimated at 357,000 × 7.5 = 2,677,500. Bladder cancer incidence and mortality show a decrease in Western communities over the last decades. Karim-Kos et al. found a decline in UBC occurrence in most countries of Europe (with the exception of Central Europe) since mid 1990. In the US declining trends in incidence were seen between 1987 and 2005 . In Europe, mortality rates show a substantial decline over the last decade of ~16% in men and ~12% in women . In the USA, UBC mortality rates show decreasing trends for men already since 1975 . Changing habits of cigarette smoking is the most important explanation for the decline in incidence and mortality of UBC. The WHO reported a model of the tobacco epidemic (Fig. 5) which shows a decline in smoking prevalence in both men and women in most developed countries (stage 4) . In USA adults, smoking rates declined from 52% in 1965 to 28% in 1990 for males and from 34 to 23% for females . Western European men started smoking in the early twentieth century, while women started in the second half of the twentieth century. Smoking prevalence in Western Europe started to decline from the 1950s for men and from the mid 1970s for women . Occupational chemicals most often linked to bladder cancer are aromatic amines. Nowadays, these hazardous carcinogens are banned from the workplace in most Western countries. With this, excess bladder cancer risk has largely be eliminated . Another explanation for the decline in incidence and mortality rates of UBC is the change in bladder cancer staging systems over time. Until the WHO grading system was implemented in 1973, all low-grade non-invasive papillary tumors were called papillomas. After 1973, these tumors were defined as grade 1 papillocarcinomas (pTa) and resulted in an increase in the occurrence of UBC . 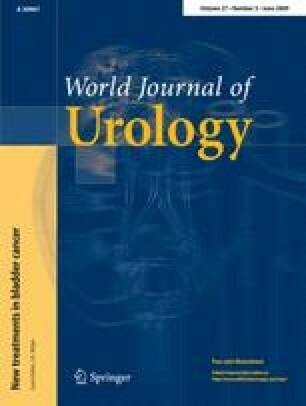 Again in 1998 a new classification system (WHO/ISUP) was published , which introduced the term “papillary urothelial neoplasm of low malignant potential” (PUNLMP). Lesions previously registered as pTaG1 in the commonly used 1973 WHO system were now called PUNLMP, a ‘borderline’ instead of malignant lesion. The geography of smoking is shifting from the developed to the developing world. Many low- and middle-income countries are still in the early stages of the tobacco epidemic (Fig. 5, stage 1 and 2) [18, 19]. The WHO reports an increase in tobacco use among males and females in large less developed areas of the world: Africa/Middle East, Eastern Europe/former Soviet Union and Asia/Australia showed an increase in tobacco use of 16.1, 8.7 and 6.5%, respectively, in 2008 compared to 1998 [13, 20]. This will result in a serious increase in bladder cancer incidence in these communities in the next decades. Since tobacco advertising is banned by law in most Western countries, the tobacco industry is now focusing on the developing world. Even the Formula One racing, the sport most prominently associated with tobacco sponsorship, has moved its competition to Asia where regulation concerning tobacco is minimal [21, 22]. As mentioned before, SCC is the major histopathological subtype in areas where schistosomiasis is endemic. However, a shift towards UC is being observed as a result of a shift in risk factors. Following the construction of the Aswan High Dam (for irrigation and electricity) in the 1960s in Egypt, changes in the distribution of Schistosoma gradually took place because of the change in water flow. Infection with S. haematobium was replaced by S. mansoni , which causes intestinal disease instead of bladder disease. Furthermore, the introduction of effective oral antibilharzial drugs in Egypt since 1977 resulted in a significant decline in the prevalence of urinary schistosomiasis . Together with changes in smoking behavior this has led to a decrease of SCC in Egypt from 78% in 1980 to 27% in 2005 . With increasing urbanization and industrialization in many developing countries a similar shift from SCC toward UC is observed. More manufacturing processes are being transferred from developed to developing countries. In these countries occupational hygiene is less stringent, which may result in an increasing burden of occupational bladder cancer in those areas . UBC is typically seen in the older patient: >90% of cases occur in persons ≥55 years of age. According to the United Nations, the world population is expected to increase by 2.5 billion over the next 40 years, passing to 9.2 billion in 2050 . Half of this increase will be reflected in a rise in the population aged >60 years. In developed countries the population >60 years is expected to double while population size as a whole is expected to remain unchanged. Aging will be seen in all populations over the world. However, countries with a high birth rate will remain relatively young and increase rapidly. These countries experience the slowest population aging. An increase in the total world population by 2.5 billion, absorbed mostly by the less developed regions, imply 2.5 billion additional people at risk for UBC. Together with population aging, progression of the tobacco epidemic and increasing exposure to occupational chemicals in developing communities, it is expected that a significant increase in incidence of UBC will occur in the foreseeable future. In developed countries where UBC occurrence will increase due to the advanced aging, this effect will be diminished or even neutralized by the decrease in exposure to risk factors like cigarette smoking and occupational chemicals. How to cope with the global burden of bladder cancer? The UBC burden is highest in developed communities but with increasing exposure to risk factors, a shift can be expected to the developing world in the near future. A major part of UBC (at least 50% in Western countries) can be prevented with smoking cessation programs and protection from occupational chemical exposures . Urgent action on cancer control should be taken with a focus on primary prevention of smoking in developing areas. The WHO Framework Convention on Tobacco Control (adopted May 2003) aims to suppress tobacco-related deaths and diseases. It campaigns, e.g., for a total ban on all forms of tobacco advertising, promotion and sponsorship by the tobacco industry, for price and tax measures and for education and public awareness (http://www.who.int/fctc/en/). Another focus should be on a strict regulatory control on carcinogen exposure in the workplace in developing countries. All chemicals that are classified carcinogenic in the International Agency of Research for Cancer (IARC) Monographs (http://monographs.iarc.fr/) should be banned from the workplace or workers should at least be protected from the harmful effects. Western communities need a different approach. Here, the call on public health care systems is strongly increasing because of the population aging, not because of an increasing exposure load. Research into the cost-effectiveness of different follow-up strategies in bladder cancer subgroups may be the best strategy to cope with this increasing health care demand.